Learn about the background that makes Concrete Arts a success. Concrete Arts was established in 1994 and is a nationally renowned industry leader in architectural concrete surfaces. Highly technical and innovative concrete applications is our specialty. Our goal is to provide exceptional service and creative design ideas to our clients. We are passionate about what we do and who we are. We have a dedicated group of hardworking and talented employees who are the backbone of our company. We encourage you to schedule a time to visit our beautiful indoor and outdoor showroom. Our facility also offers the opportunity for architects to receive certified continuing education. Tom started Concrete Arts in 1994. He has a marketing degree from the University of South Florida. Tom has a passion for what he does and especially enjoys working with home owners, business owners, architects and design professionals and is involved from the design stage to completion. Mike has been in the concrete industry since the early 90’s and has been with Concrete Arts since 1997. Mike loves working with people and is very hands-on with his projects. He studied sports journalism at the University of Minnesota and is a published writer. Michelle began working with Concrete Arts in 2006 as an accounts payable clerk. She completed her Bachelor of Arts degree in Accounting at the University of Wisconsin – River Falls in 2007. Over the years, Michelle’s job duties have changed to include all daily accounting operations and procedures, financial statement preparation and analysis, budgeting and projections, human resources and office management. Ron has been in the concrete trade for four decades. He is mason and concrete finisher by trade, but excels in the estimating and bidding process. He often goes from laying block and stone in the morning to bidding municipal and institutional projects in the afternoon. Adam has been with Concrete Arts since 2005. He has traveled across the country for both trainings and projects which keep him on the cutting edge of decorative concrete applications. He is a perfectionist who puts unrivaled passion and hard work into all of his projects. No one takes more pride in the projects than Adam. Greg has been with Concrete Arts since 2005. 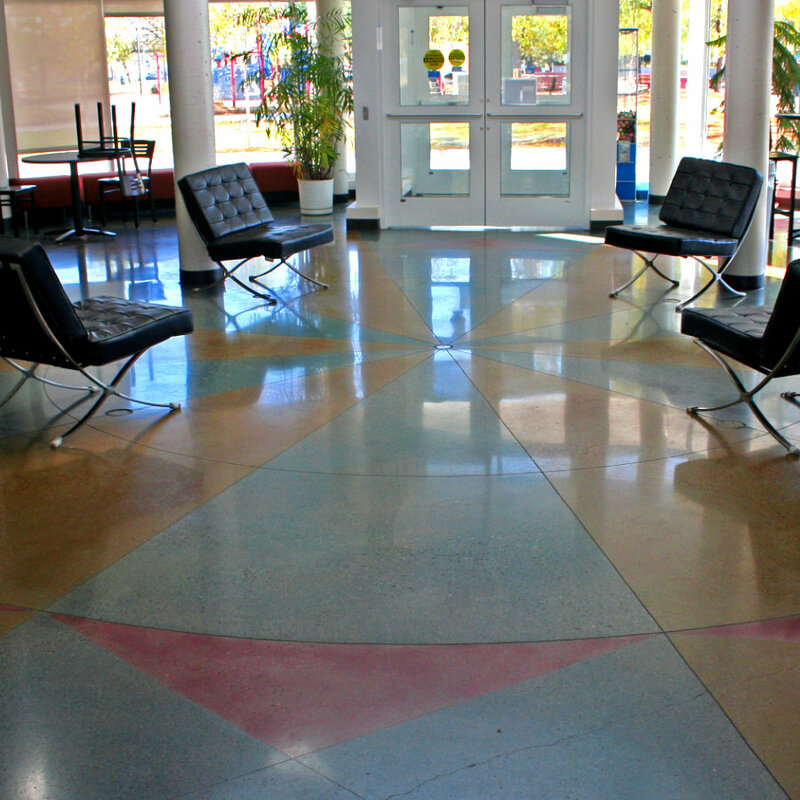 He has polished millions of square feet of polished concrete and has supervised multiple award-winning projects for some of the most renowned general contractors in the region. He has a high acumen for quality control as well as deadlines.